SHORTLISTED FOR THE 2018 WOLFSON HISTORY PRIZE The extraordinary and essential story of how China became the powerful country it is today. Even at the high noon of Europe's empires China managed to be one of the handful of countries not to succumb. Invaded, humiliated and looted, China nonetheless kept its sovereignty. 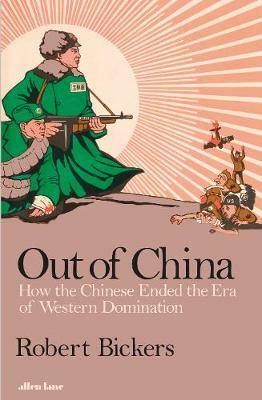 Robert Bickers' major new book is the first to describe fully what has proved to be one of the modern era's most important stories: the long, often agonising process by which the Chinese had by the end of the 20th century regained control of their own country. Out of China uses a brilliant array of unusual, strange and vivid sources to recreate a now fantastically remote world: the corrupt, lurid modernity of pre-War Shanghai, the often tiny patches of 'extra-territorial' land controlled by European powers (one of which, unnoticed, had mostly toppled into a river), the entrepots of Hong Kong and Macao, and the myriad means, through armed threats, technology and legal chicanery, by which China was kept subservient. Today Chinese nationalism stays firmly rooted in memories of its degraded past - the quest for self-sufficiency, a determination both to assert China's standing in the world and its outstanding territorial claims, and never to be vulnerable to renewed attack. History matters deeply to Beijing's current rulers - and Out of China explains why.